Fresh back from my trip to The Netherlands, it gives me great pleasure to share some information with you about Noorderlicht International Photofestival 2010, which will take place from 5 September-31 October at Fries Museum and Blokhuispoort, Leeuwarden. Noorderlicht is a multi-faceted and international podium for documentary photography. It is a place for photographers who explore their world and in their work picture its big events and everyday occurrences, and everything in between. There is scope for all genres of photography in the program, with documentary photography as the basis. If success begets success then the 17th edition is going to be quite special. 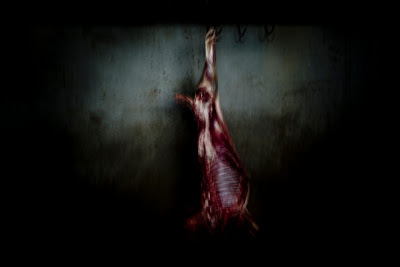 The Noorderlicht International Photofestival 2010 will open on Sunday, 5 September, in the Fries Museum. In Land: Country Life in the Urban Age, Noorderlicht looks at the consequences that urbanisation has for the countryside. Simultaneously, Warzone, an exhibition examining the experience of war on the part of soldiers dispatched to conflict areas, is to be seen in the Blokhuispoort. The opening, which begins at 5:00p.m., is led by the writer Arno Haijteman, chairman of the Silver Camera and photography reviewer for de Volkskrant. The festival runs from 5 September through to 31 October. Since the beginning of the 21st century, more than half of the world's population live in cities. What are the consequences of this shift for the countryside? Is it possible, against all economic logic, to accord new value to rural life? Drawing on the work of some thirty photographers, Land – Country Life in the Urban Age exposes the symbiotic but unequal relation between the city and countryside. Agriculture is organised around large-scale production at minimal cost, the growing demand for agricultural products quickens the cutting of rainforests, and whole regions are allocated new uses as a result of increasing need for water. Add to that the continuing exploitation of ever scarcer natural resources, and the economic and demographic consequences of immigration to the city, and one thing is clear: the countryside is facing serious challenges in the 21st century. In 2011 Groningen will be the location for the second part of this diptych: Metropolis – City Life in the Urban Age. Blokhuispoort Verdun, Omaha Beach, Srebrenica, Fallujah: names of places that are anchored in our collective memory. Places where the once serene landscape changed into a battlefield, where young men and women fought for their faith, politics or ideals, lost their innocence, and sometimes their lives. Military cemeteries and history books may remind us of them yet, but the battlefields themselves are transformed after the conflict is over. Time erases the evidence – the rubble is cleared, the shell craters become overgrown. But is the inner landscape of the soldier as resilient as the landscape in which he fought? On the basis of work by top photographers including Ad van Denderen, Martin Specht, Paul Seawright, Peter van Agtmael and Antonin Kratochvil, Warzone pauses to examine the experience of soldiers who have been dispatched to conflict areas in recent history. The official launch of the photo book Warzone will be on 25 September in the Blokhuispoort. The book contains work by about forty war photographers and essays by Hans Achterhuis, Ko Colijn, Auke Hulst, Sebastian Junger, Jeroen Kramer, Jaus Müller, Joris Voorhoeve and Désirée Verweij. "I actually try and work before my mind is telling me what to do." Watch this great video of Henry Wessel talking about the importance of not thinking. 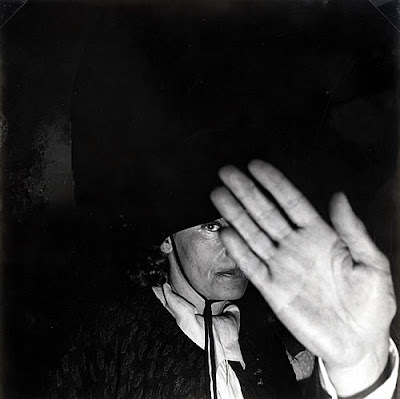 Recently 1000 Words was invited by the World Photography Organisation to be shown around the Exposed: Voyeurism, Surveillance and the Camera exhibition at Tate Modern by none other than the Tate's newly appointed curator of photography and international art, Simon Baker. The tour was to promote the WPO's new Student Focus Competition based on the theme of the Exposed exhibition. If you are a student aged between 18-28 years with a passion for photography it is worthwhile entering. "Your image should draw on themes explored within Tate Modern’s Exposed: Voyeurism, Surveillance and the Camera. The exhibition explores issues around exposure, voyeurism and surveillance. It features a range of photographs created by well-known artists, photo-journalists, amateur photographers and those using technology like CCTV and camera phones. We’d like you to think about these different kinds of imagery and how we experience photography in different areas of art, photojournalism and everyday life. We want to see your creative response to these images and ideas. We’d like to see how you think the themes affect the world around you. Consider the increasing use of surveillance cameras, camera phones, and the circulation of images in the media and on the internet. Look around you and observe different ways we experience ‘exposure’ through imagery. We are looking for a clear image to represent one or more of the above themes. 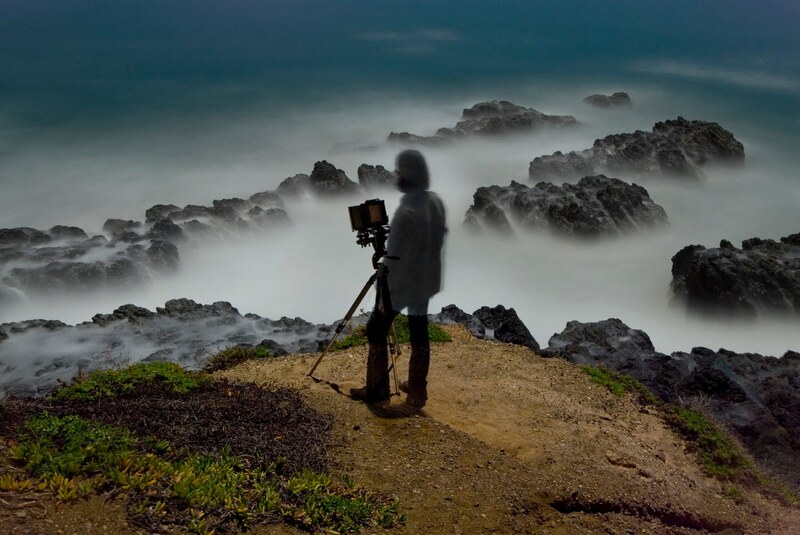 Your photograph should record and communicate the essence of your idea." -Win the chance to have your photograph shown in the World Photography Organisation's 2011 Student Focus Exhibition. -10 students from selected universities win the chance to participate in the Young Tate Online & World Photography Organisation’s Student Focus talks, workshops, forums, activities and portfolio sessions. "Photojournalism is still stuck in the 1940s." Watch this short but sweet video clip of the always engaging Simon Northfolk and while you are at it have a read of this. Tell me, how many times has photojournalism died now then? I would argue, as does one contributor to the comments board, that the traditional relationship between photojournalist and publisher is dead, not photojournalism. All images © Gihan Tubbeh from the series Nights of Grace. 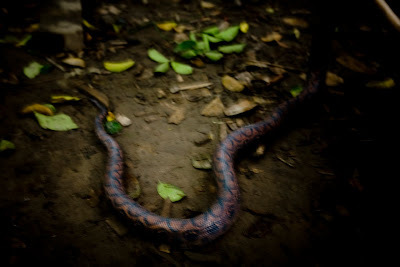 Pictured here are a few brilliant examples from a talented young Peruvian photographer called Gihan Tubbeh. "The project presented is not intended to tell a story, " says Gihan Tubbeh of her sparkling collection of photographs, adding, albeit obliquely: "It is rather an assemblage of soiled images that are read among each other." "If I could sum up the series in one word I would say it's about transgression," she explains, which clearly echoes the subjective approach, technique and intimate emotion of the great Magnum photographer. "The photos document the most primitive and instinctive conditions of humanity. The tone is acid: it talks about the vulnerable excess of desire, the insatiable hunger for pleasure on the edge of suffering, about violation towards the flesh, joy throughout offense, the eternal return towards the visceral, the morbid by wounding and being wounded. For transgression to exist, there must be awareness of good and evil, guilt, and condemnation of sin. But this knowledge is left suspended, hidden in our consciousness as a thumping secret that causes greed and temptation towards the forbidden. The body is the battleground between Eros and Thanatos, between desire and destruction; the woman is mother and destroyer, which represents masculine desire. This way, we break life's boundaries with our bodies, resisting thirsty to nights' pain, moving in between crime and repression." Gihan Tubbeh (26), Peru, followed three years on audio-visual communications at the University of Lima, before studying photography at the Centro de la Imagen, also in the Peruvian capital. Her work has appeared in Die Zeit,Travel and Leisure, and Vision magazine, as well as in numerous publications across Peru. Gihan has featured in a number of group and solo exhibitions across Peru and Europe. She also forms part of Versus Photo, a Peruvian collective of photographers. 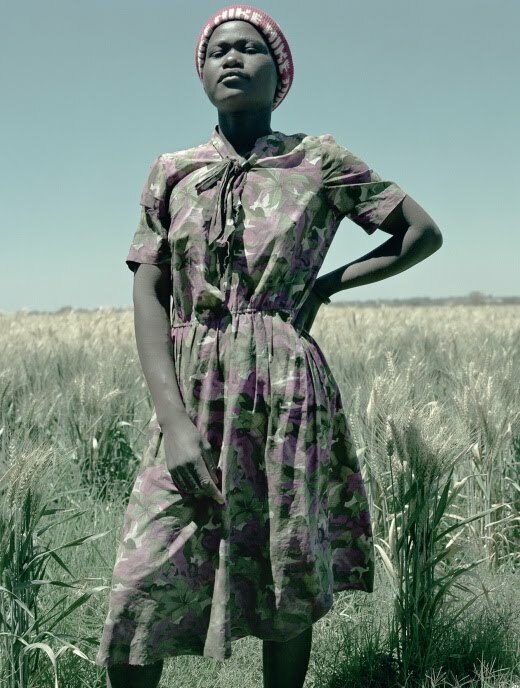 On 2009, she was one of the twelve photographers who joined the Joop Swart Masterclass of WWP. This year, Gihan won the 1st prize in Daily Life stories with Adrian, a 13-year old autist of the World Press Photo competition. Recently, she has been selected to join Reflexions Masterclass which will begun on May for a two-year seminar. Her last solo exhibition was this past July 2010, Purge in OJO AJENO Gallery. Zoe: "On the 17th September 2010, I am going to tell my mum, I think she will disown me". "How do we distinguish proper art from mere sensuous stimuli?" 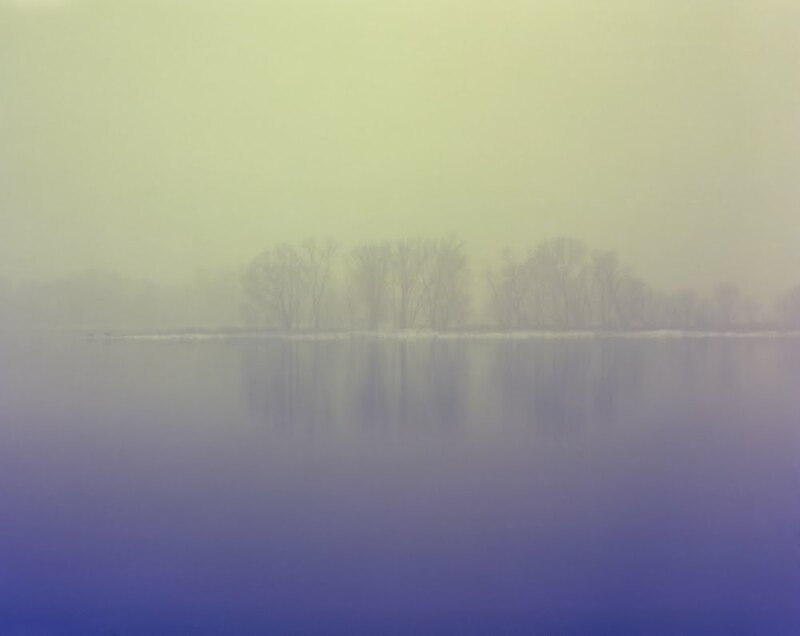 is Vince Hart´s first comment when introducing me to his photographic series Latent Inhibition. "For an image to become memorable," Hart says "it needs to go through the cognitive process. Simply, it needs to pass from short-term memory to the long-term memory, the encoding process is where information is registered, stored and maintained for retrieval at a later time." In other words, for a photograph to become memorable there needs to be a degree of stimuli within a photograph. A stimulus is an action or influence that activates or accelerates a psychological or physiological activity. Hart goes on to explain: "I will take this opportunity to explore the argument for scientifically approaching the interpretation of photographs. During practice I used key triggers to create stimuli. My photographic approach invites the viewer to question the ambiguity and interact with the images. Each photograph acts as a clue to a longer narrative that the viewer responds to and co-creates. Of importance to me is the aesthetic within my practice. Form, structure and dignity should be present within each photograph. My photography is straight photography: no multiple montage or extensive retouching. I believe it is quintessential that the viewer’s experience of my work will be as close as possible to experiencing a painting. My intention is to demonstrate that cognitive science can influence the attentiveness we pay to art. If a photograph has been experienced with reinforced stimuli, there is a greater chance of remembering inconsequential artwork." Vince Hart was born in 1964, in Kent, England. 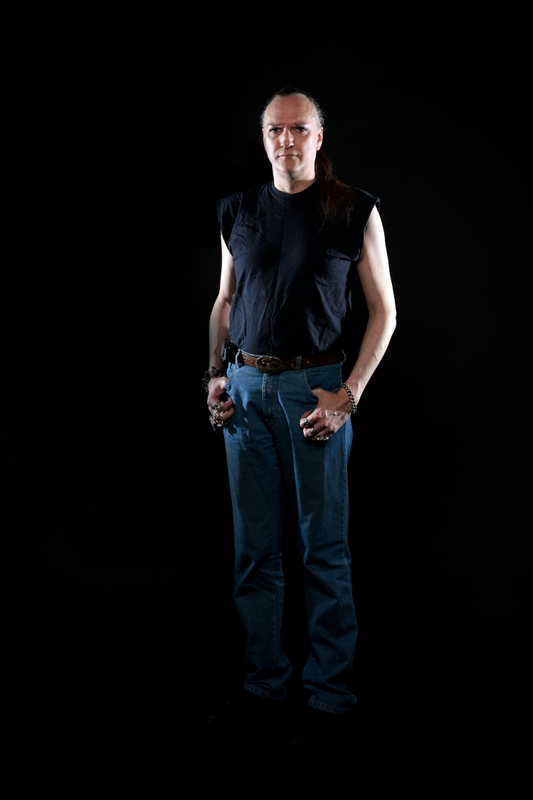 He recently completing his MA in photography (2010), at UCA Rochester England. Vince has worked commercially for a number of years although lately he has concentrated his attention on contemporary issues, and is working towards "having greater influence in the art arena." I strongly recommend you head over to his website and check out the rest of his Latent Inhibition series as well as some of his other projects such as the highly accomplished Return to Form project. This guy is good. On the second floor of Cambridge University’s Department of Engineering, behind a vast array of home made speakers and Seventies-era hi-fi equipment, sits a rarely-used container-sized room called the Anechoic Chamber – a room designed to create total silence. On visiting an Anechoic Chamber, John Cage entered expecting to hear silence, but he wrote later: “I heard two sounds, one high and one low. When I described them to the engineer in charge, he informed me that the high one was my nervous system in operation, the low one my blood in circulation.” True silence, he concluded, is impossible. Ruhal Ahmed, a former detainee at Guantanamo Bay, has a special relationship to silence. For a period of two and a half years, he was repeatedly questioned by military staff at the Cuban base, where his interrogators would often play music to him repeatedly at high volume. This short film by Adam Broomberg and Oliver Chanarin – one of a number made to accompany the new Massive Attack album Heligoland, and featuring the track Saturday Comes Slow – is a meditation on Ruhal Ahmed’s experience in Guantanemo. Produced in collaboration with Massive Attack. I was first introduced to Murray Ballard in Krakow, Poland during Photomonth back in May this year and I remember that he immediately struck me as being a very conscientious person. Therefore it gives me great pleasure then to let you know about a book he and his girlfriend, Gabriella Rizzello are self-publising to raise money for the charity Diabetes UK. The motivation for this project stems from the loss of Gabriella's mother earlier this year due to complications of diabetes. "On the 8 February this year we went to Russia with the intention of travelling around the Central Region for one month. We planned to make a photography project about our journey, but in the early hours of 15 February we had a phone call from home to say Gabriella's mother had been rushed to hospital after suffering a cardiac arrest. Within 8 hours we were by her bedside, but sadly she never regained consciousness. Unsurprisingly, Gabriella has found the sudden and unexpected loss of her mother very difficult to come to terms with, but out of something so tragic comes a real and sincere motivation to do something positive. Gabriella’s mother, Sarah-Jane, suffered from Type 1 diabetes* and it was complications of this condition that caused her untimely death. She was diagnosed with diabetes on her twenty-forth birthday, after returning from Damascus, where she had been Dj-ing with the London Town Disc Jockeys. Our book, One Week In Moscow, is being sold to raise money for the charity Diabetes UK. 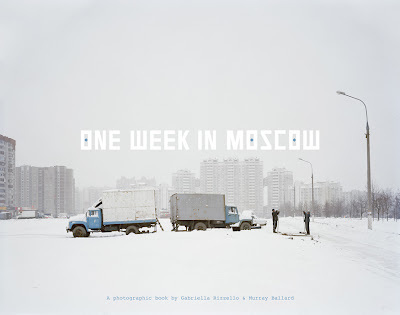 Designed by Connie Dickson, it is a photographic diary of our week in Moscow prior to coming home. A combination of landscapes, interiors, still lifes and street scenes, the pictures are shot in a mixture of formats from black and white 35mm to large-format colour photographs. The book will be released at the beginning of October to coincide with the Brighton Photo Fringe Festival. A book launch event and exhibition will be held at Marwood Studios – date and time to be confirmed. * Type 1 diabetes is when no insulin is produced at all because the insulin-producing cells in the pancreas have been destroyed. Nobody knows for sure why these cells have been damaged but the most likely cause is the body having an abnormal reaction to the cells. There is nothing that you can do to prevent Type 1 diabetes. This type of diabetes is always treated with insulin injections." Let´s just say that this subject is very close to my heart and Murray and Gabriella have the full support of 1000 Words in their excellent venture. Visit the website www.oneweekinmoscow.com and lend them a hand if you can. "This series developed from my love of exploring the natural world. Often viewed as well-trodden territory lacking in original artistic opportunity, these images are effort to debunk that fallacy: hile the natural world has been well documented throughout generations of infinite talent, there are still amazing original sights hidden everywhere – the key to finding them is having the patience to look in a different light. My preferred scenes are cloaked in the night; beauty doesn’t fade with the sun, it just hides. Instead of a blank canvas, I start with a black canvas; instead of a paintbrush, a flashlight. 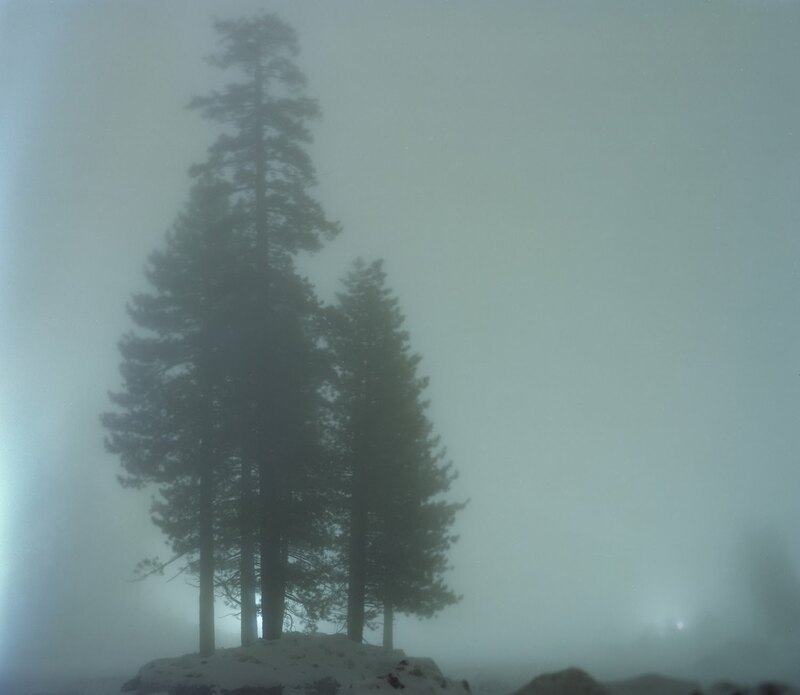 The light transforms the subjects to be so strangely engaging that they seem surreal, a distorted aesthetic often bizarre and unbelievable: Lonely locations containing an eerie stillness and silence, despite their dynamic creation. These images are my effort to shine a new light on a way to see the world." Garret Suhrie graduated from the Tyler School of Art in Philadelphia, majoring in Art History and Studio Arts, with minors in Photography and Italian. After graduating, he took a job in Los Angeles as studio manager/producer for David LaChapelle, eventually moving into the post-production end. His work has appeared in various publications (Wall Street Journal, Luxuriant, Flaunt, etc) a few small exhibitions in Los Angeles and Philadelphia, and most recently at Smithsonian Museum in DC. Upcoming shows will take place in St. Moritz and Berlin showing in conjunction with David LaChapelle, made possible by a grant Suhrie received from the Maybach Foundation. This man needs no introduction. Here is the late great Larry Sultan speaking about family, domestic life and the role photography has played in its construction and mythology. The very gracious Klaus Pichler wrote to 1000 Words to introduce a series he is working on at the moment called Skeletons in the Closet. It deals with the backstage environments and storage sites of the Museum of Natural History in Vienna. Yes, there are a handful of photographers who have turned their lens´ on these sorts of spaces but, needless to say, Pichler has given form to these ideas better than most. The project is still in its infancy but already several strong images have come forth so if he can pull the rest of the pictures in the series up to this standard then something will happen for him, no doubt about it. 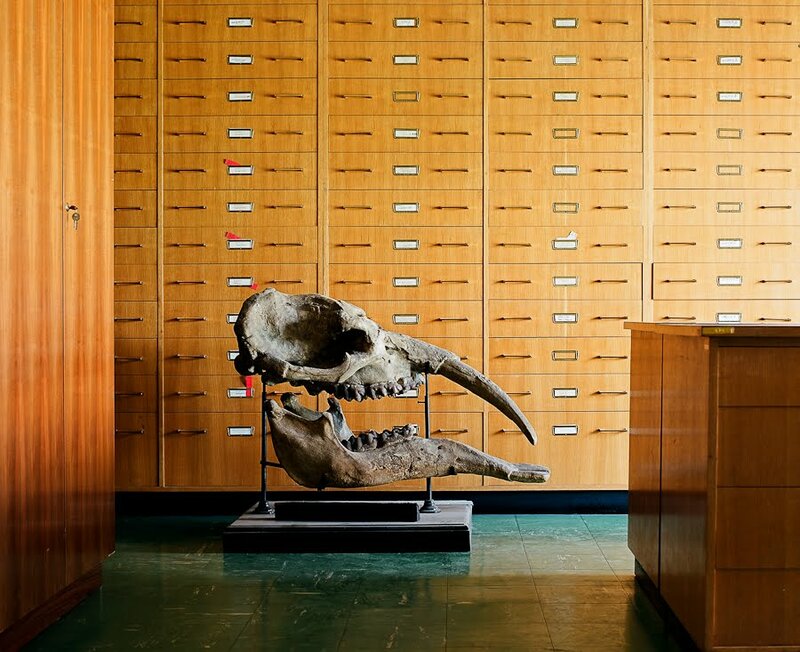 Talking about how the project´s origins he says, "It all started when I happened to catch a glimpse through a basement window of the museum of natural history one night: an office with a desk, a computer, shelves and a stuffed antelope. 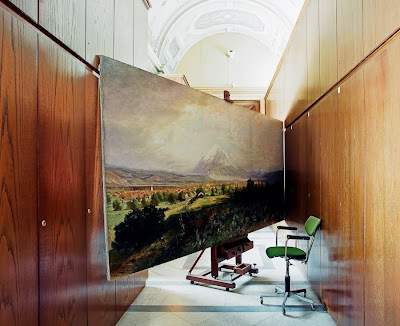 This experience left me wondering: what does a museum look like behind the scenes?" He adds: "Therefore, the focus of this study is not on the exhibition spaces of the museum of natural history, but on the space behind the scenes, particularly depots, cellars, and storage rooms assigned to individual departments which are generally not accessible to the public. 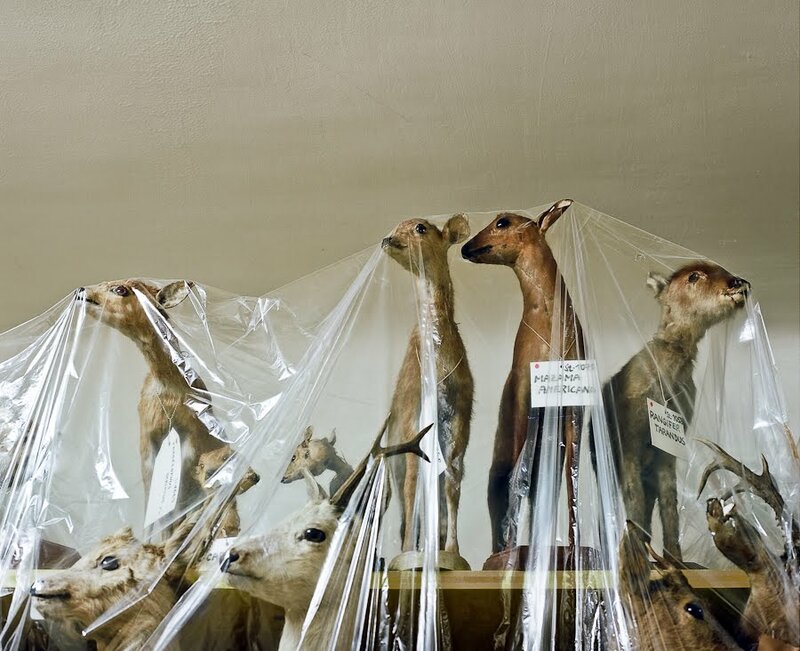 These spaces are used for the storage of countless exhibits belonging to various collections, sorted following a rigidly scientific classification system, but also taking into account the limited storage space available." "As a photographer with limited knowledge of scientific research methods, the museum’s back rooms presented to me a huge array of still lives. Their creation is determined by the need to find space saving storage solutions for the preservation of objects but also the fact that work on and with the exhibits is an ongoing process. Full of life, but dead nonetheless. Surprises included!" Klaus Pichler was born 1977 in the province of Styria/Austria and moved to Vienna 14years ago. His original profession was landscape architecture, but while studying he says he became "more fond of photography", which he taught himself over the years. "I don't have any photographical education," he says. "After I graduated in 2005 I quit my profession and now work as a freelance photographer and photo artist. The topics that interest me in my photographic work are both everyday life in its varying forms as well as social groups with their own codes and rules. I like to catch a glimpse behind the scenes and to document it with a conceptual approach."